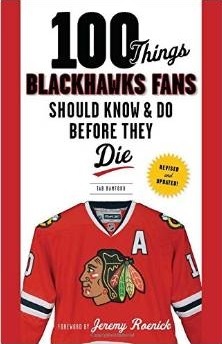 On June 20, 2010, the implosion of the Blackhawks’ Stanley Cup championship roster began with a deal many fans frowned on and questioned immediately. Kris Versteeg was the first player dealt out of town, finding his way to Toronto that day in a five-player deal. One of the players that came to Chicago in that trade was Viktor Stalberg. What has happened since? Let’s take a look. The full trade between Chicago and Toronto was Kris Versteeg and the rights to forward Billy Sweatt to Toronto for forwards Viktor Stalberg, Philippe Paradis and Chris DiDomenico. Obviously Stalberg wasn’t a fan favorite last year in Chicago (except for a small, largely female and under-the-age-of-25 population), and struggled to find a regular spot in the rotation. Similarly, Versteeg didn’t quite live up to expectations in Toronto. After posting only 35 points (14 goals, 21 assists) in 53 games before, on Feb. 15 of last year, he was dealt to Philadelphia for two draft picks. Sweatt never signed with Toronto, and ultimately moved on. 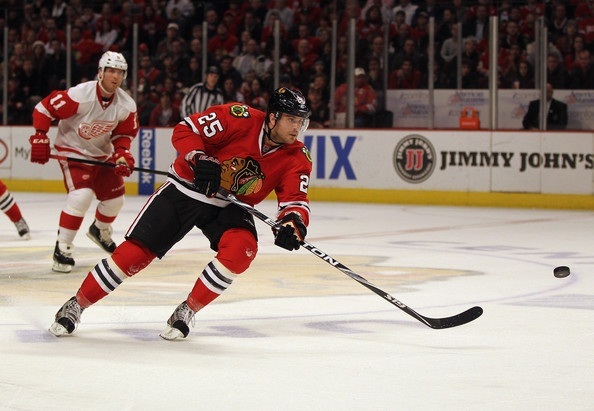 Stalberg has emerged this year as a top-six foward for the Hawks. His statistical explosion has come while skating on the team’s top line with Patrick Kane and Jonathan Toews, and he has already passed all of his previous career highs. On Monday, he was named one of the NHL’s Three Stars for the Week of Jan. 8-15. For Paradis, it was his second trade in a year since being selected by the Carolina Hurricanes in the first round of the 2009 Draft. He is now in Rockford, where he has nine points (two goals, seven assists) in 31 games. DiDomenico has bounced back and forth between the Hawks’ ECHL affiliate in Toledo and Rockford, posting 23 total points in 33 combined games. With Versteeg now having a good year in Florida, the Leafs were left with Philadelphia’s first and third round picks in the 2011 Draft as compensation for Stalberg, Paradis and DiDomenico. Toronto GM Brian Burke used those selections on a good-looking defenseman Stuart Percy (selected 25th overall) and forward Josh Leivo (selected 86th overall). After producing only 11 points (seven goals, four assists) in 27 games with the Flyers, Philadelphia received a 2012 or 2013 second round pick and San Jose’s 2012 third round pick from Florida for Versteeg this past summer. So at the end of the day, Versteeg was traded three times in less than 13 months for, in total, three players and four draft picks. He’s worn four sweaters in the last 20 months, and has a ring for his efforts. And to date, the NHL impact from any of the deals has been in Chicago and, now, Florida. This season, Versteeg leads the Panthers with 17 goals and 39 points with a $3.083M cap hit. Stalberg has 14 goals and 28 points for the Blackhawks while boasting a cap hit of under $900k. Thanks again Tab…there is no doubt about it, this is turning into another good trade for Bowman…Stahlberg appears to be only now blossoming into his own, so there is no tell where he may finish with points. He’s under $900K for his cap hit, and is very young…Versteeg is a nice player, having a good season in Florida, but considering both sides, and what it has ended up costing teams to get Versteeg, Stahlberg is looking like the better side of the deal…plus Paradis and DiDomenico have game. Question…how do they figure out who will race in the all star game for fastest skater? I ask because it seems to me Stalberg would be one of the fastest out there but he’s never in that skills comptetion. I’d love to see him go head to head against Darren Helm. Stalberg has as much raw skill as anyone. When he learns to pass when he should pass and shoot when he should shoot he will be a 60 point player. We also have to remember that the Hawks needed Stalberg’s size.